Across the country, we are in the middle of the heat of summer. Even in Minnesota the temperatures are soaring, and the pools and lakes are filled with people trying to cool down. The holidays are still months away, but as retailers we know that it’s not too early to start planning for them. 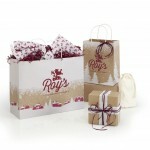 We at Bags & Bows are very excited about our brand-new holiday collections and would like to share them with you! 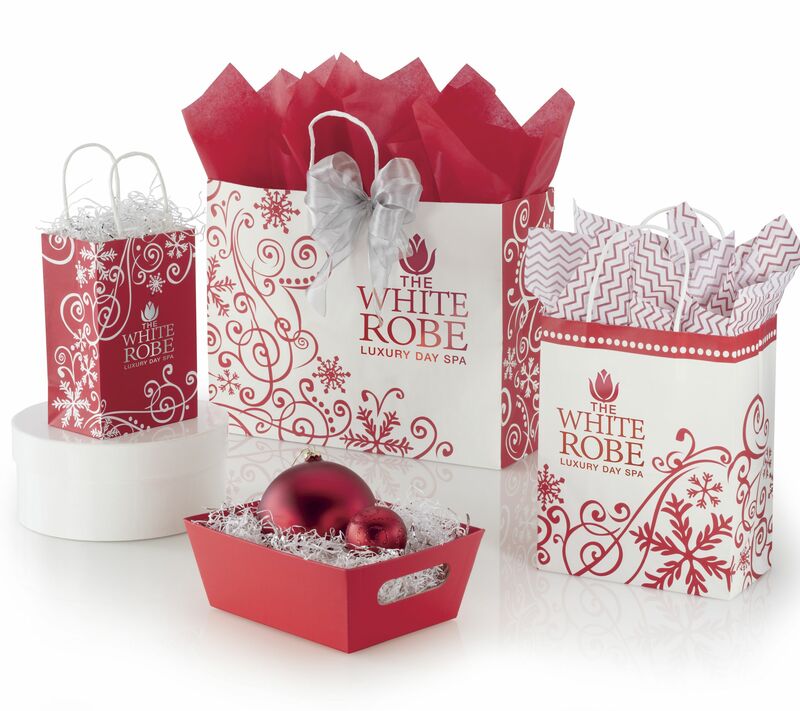 Winter’s Whirl Collection: These charming shoppers feature a brilliant swirl of color and design. The reds and whites of this delicate design are sophisticated and elegant. 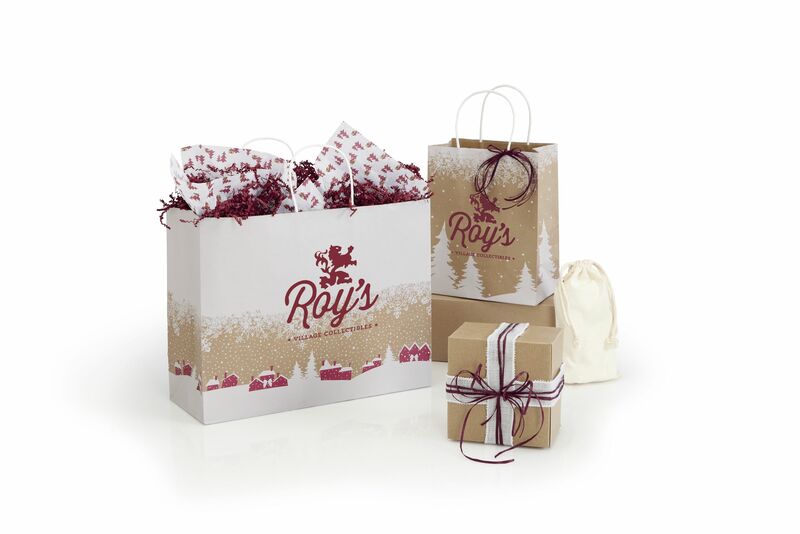 These bags pair great with our Chevron Red Tissue Paper. Peaceful Perch Collection: This collection exudes a peaceful wintry nature setting. Celebrate the serene beauty of a lovely winter day with these delicate bags. This collection also has tissue paper, featuring little cardinals. 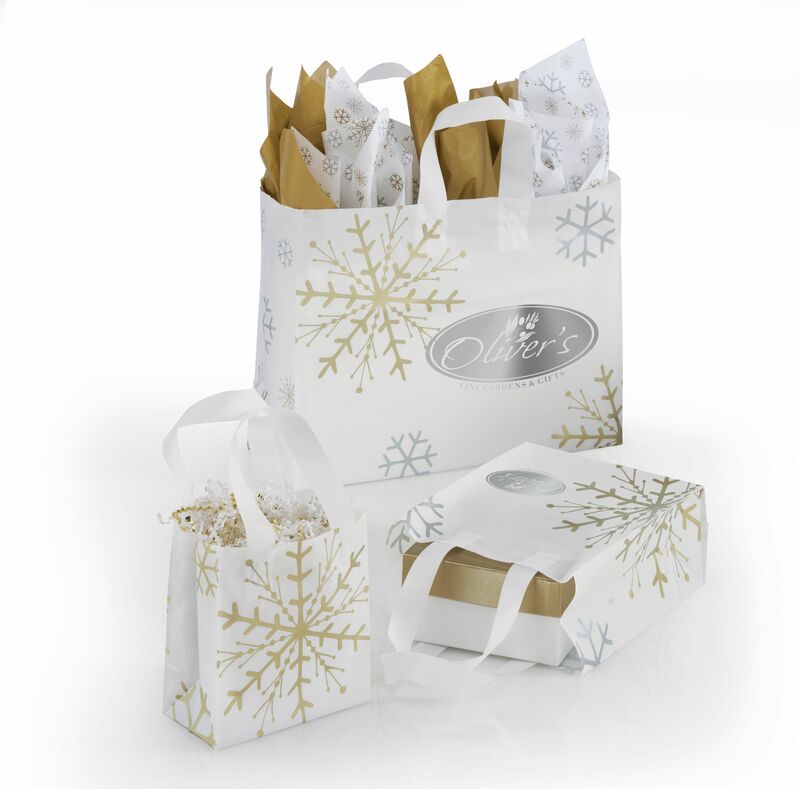 All is Calm Collection: These bags feature a peaceful winter scene on a craft background and are perfect for showcasing your business logo. There is also coordinating tissue paper to complete the look. 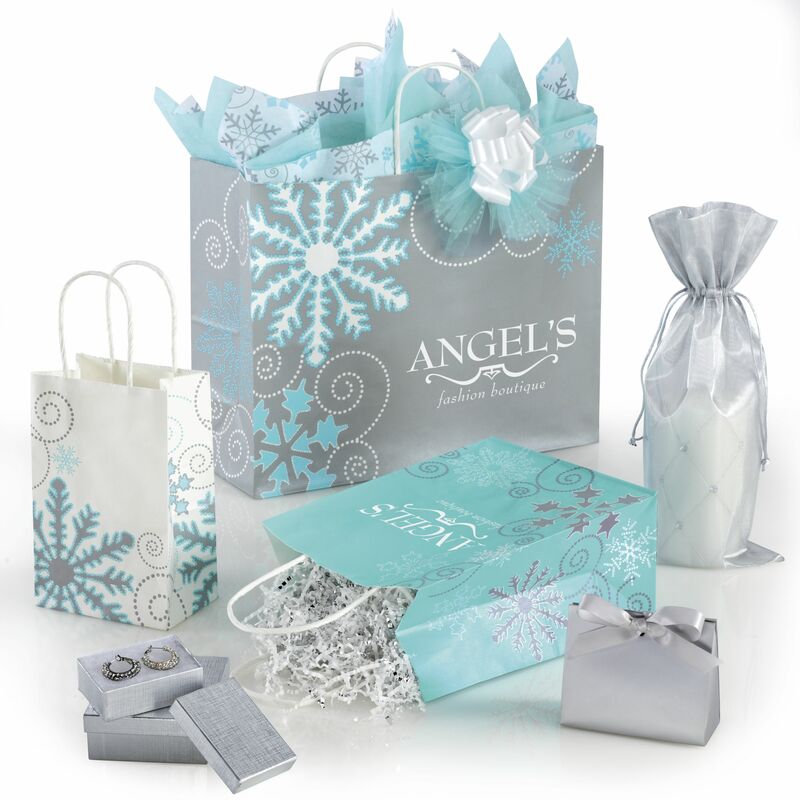 Winter Wonderland Collection: This collection has many packaging options: decorative mailing boxes, mini shoppers, cub shoppers, vogue shoppers, and tissue paper. 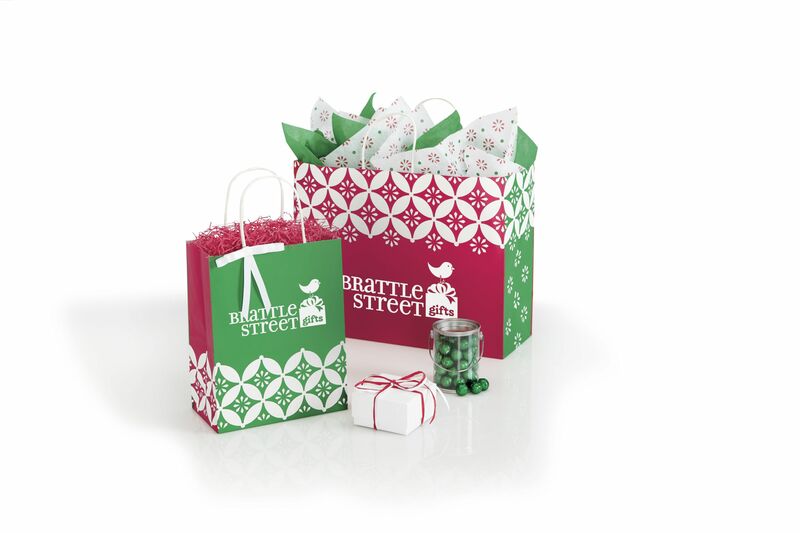 They’re all slightly different but share a common snowflake swirl pattern sure to enchant shoppers all season long. 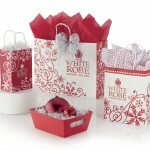 Merry and Bright Collection: The Merry and Bright Collection features a joyful and festive Christmas light theme. There are many boxes to choose from in this collection: pillow, gable, gourmet window, nested box sets, and market trays. They all have a black background with bright Christmas lights that pop with color. 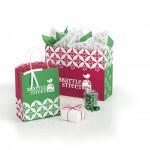 The shoppers are all red, green, and white with a stylish, trendy pattern. Finish the look with the matching tissue paper. 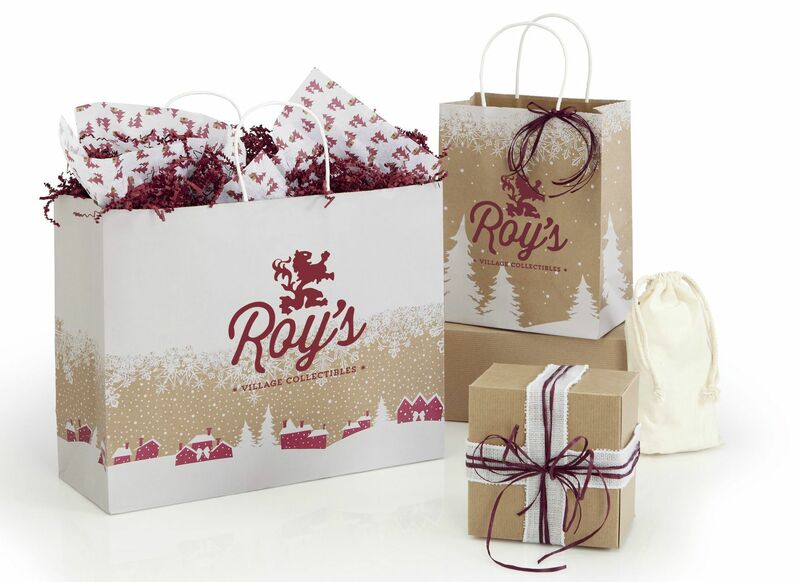 Reindeer Games Shoppers: These shoppers display a striking, graphic design and vivid colors that customers will love. 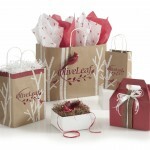 If you’re looking for something bright that will set your store apart, these are the perfect bags for you. Snow is Glistening Collection: This collection elegantly portrays the holiday season with a beautiful metallic gold snowflake pattern. Get the tissue paper to complete the ensemble. 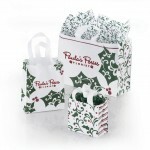 Deck the Halls Collection: Deck the halls with boughs of holly! 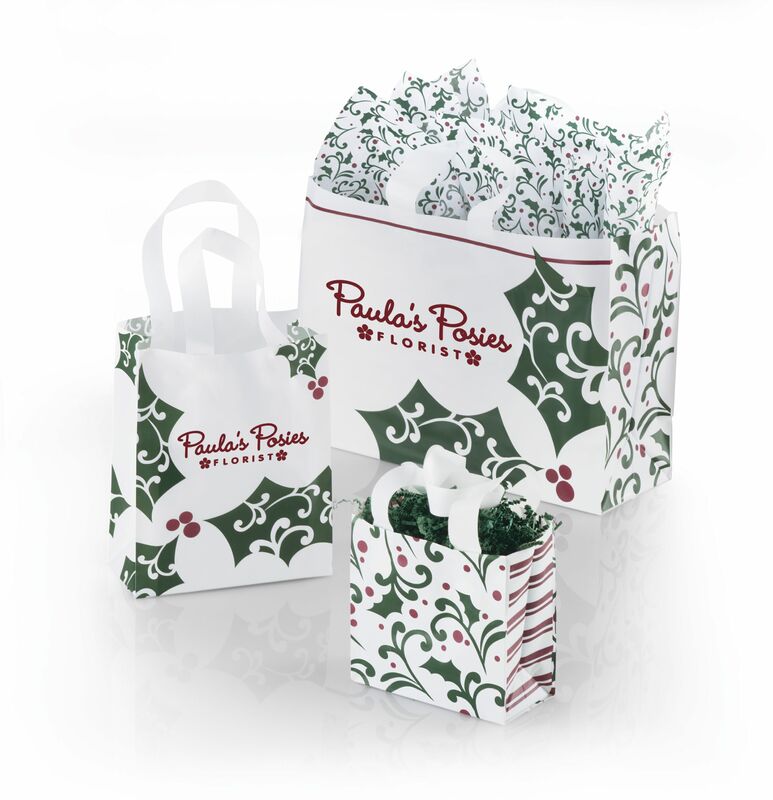 This fun collection, featuring a detailed holly pattern over a lovely frosted background, will have your customers in the holiday spirit in no time. Choose from cello bags, shoppers, tissue paper, or gift wrap. 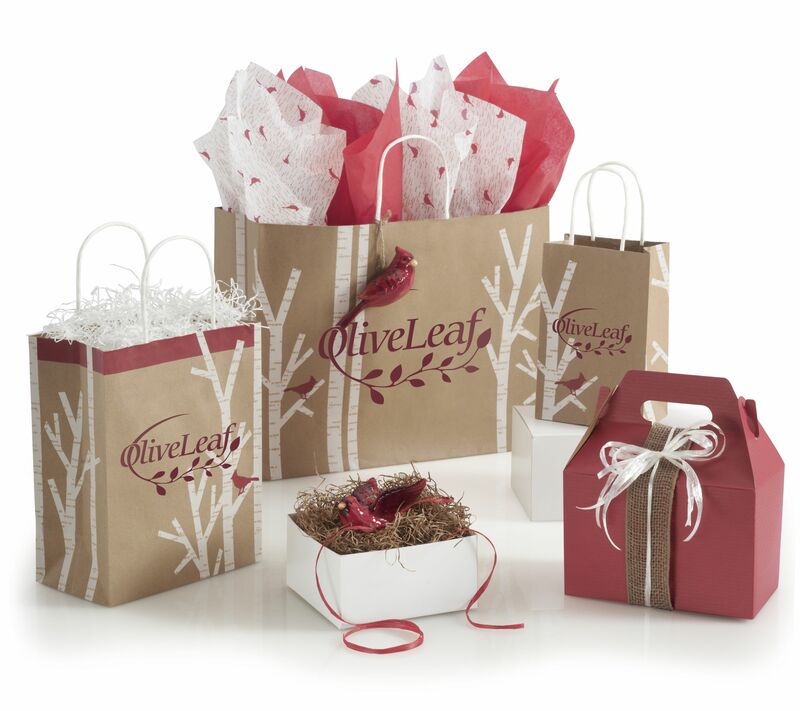 Prepare for the coming holiday season with our fun, new collections. 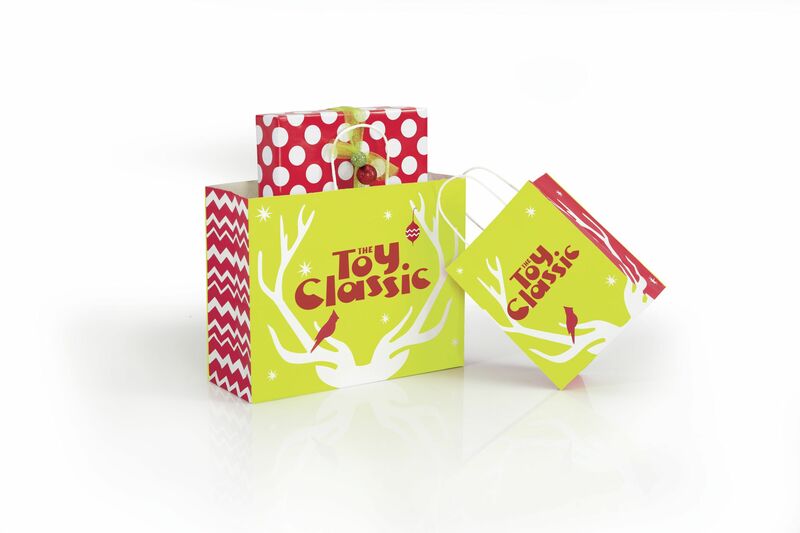 When you’re purchasing retail packaging for the holidays, don’t forget about the holiday business cards to send your customers! In the comments, let us know which collection is your favorite.